My favourite incense . . . the loveliest aroma around. 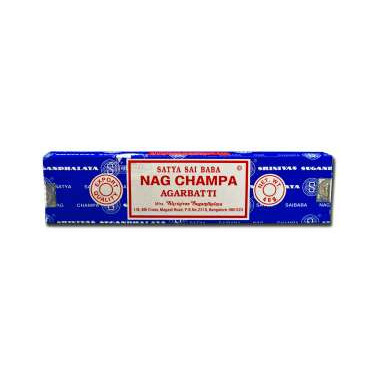 Nag Champa is the most pleasant smelling incense I've come across. Get the 100gm size if you burn a lot. My favorite incense... been using it for years. This incense has a mellow warm aroma that gives your home a serene atmosphere.